Drinks at a kiddie birthday party. 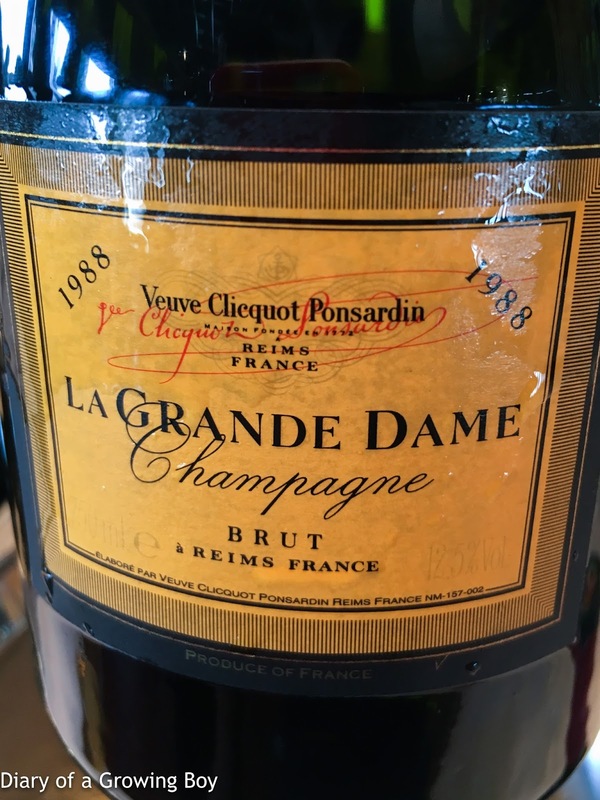 1988 Veuve Clicquot Ponsardin La Grande Dame - very savory nose with lots of salty plum. 1990 Deutz Cuvée William Deutz, en magnum - very soft and caramelized nose. Drinking very well. 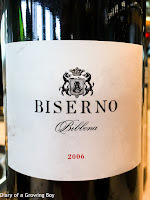 2006 Biserno - lots of vanilla and toasty oak. Very nice. 1997 Sandrone Le Vigne, from magnum - from decanter. 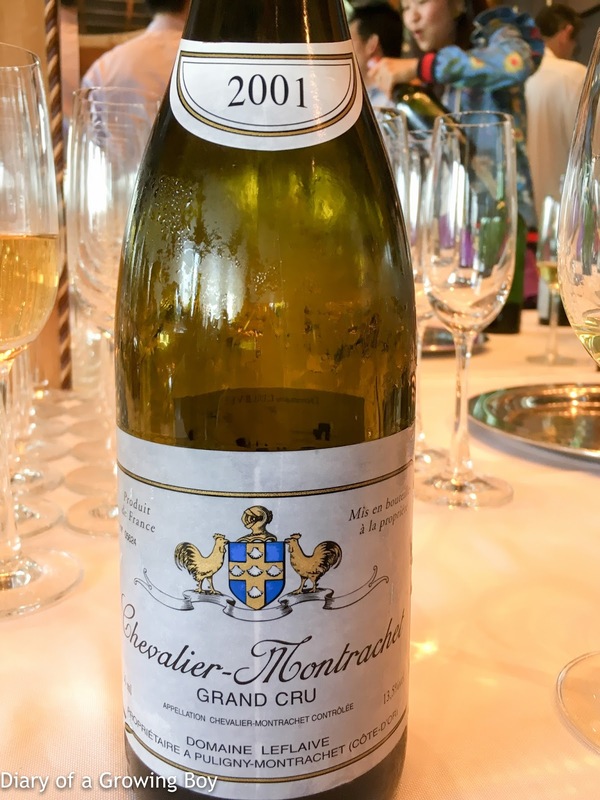 Very sweet and fruity... almost exotic like jack fruit. Strangely also a little plastic. 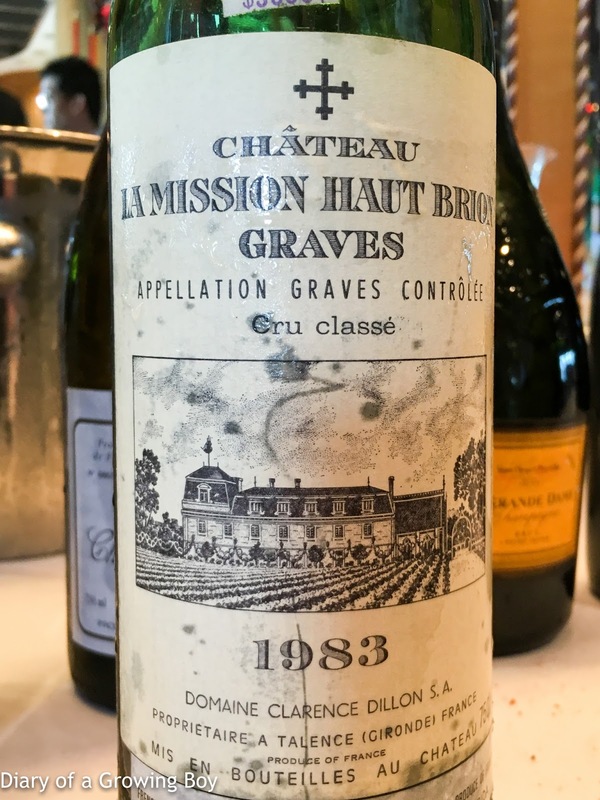 1983 La Mission Haut-Brion - very classic claret nose, with lots of smoke and sweet, green grass, pretty bretty and animal. 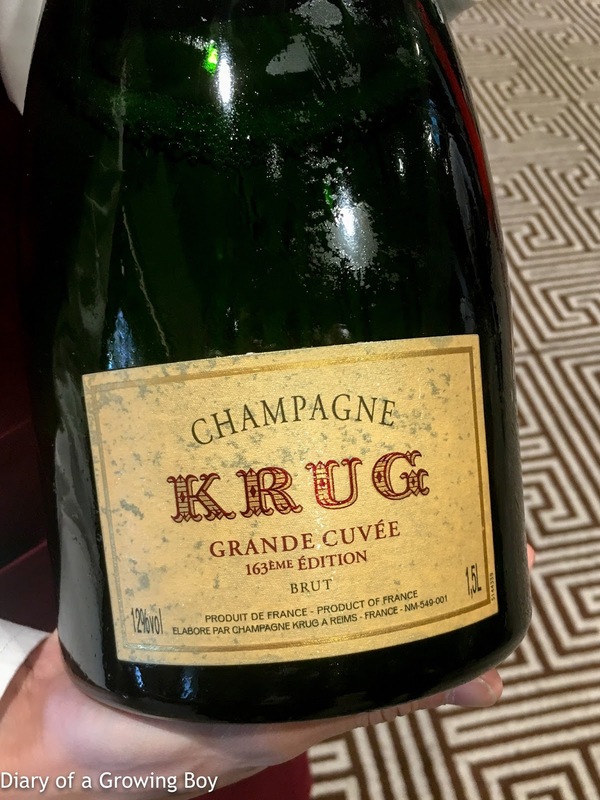 Drinking beautifully. 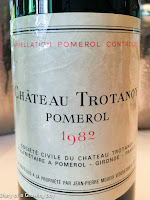 1982 Trotanoy - beautiful nose with smoky and coffee notes. 2001 Leflaive Chevalier-Montrachet - beautiful nose, very toasty and flinty. 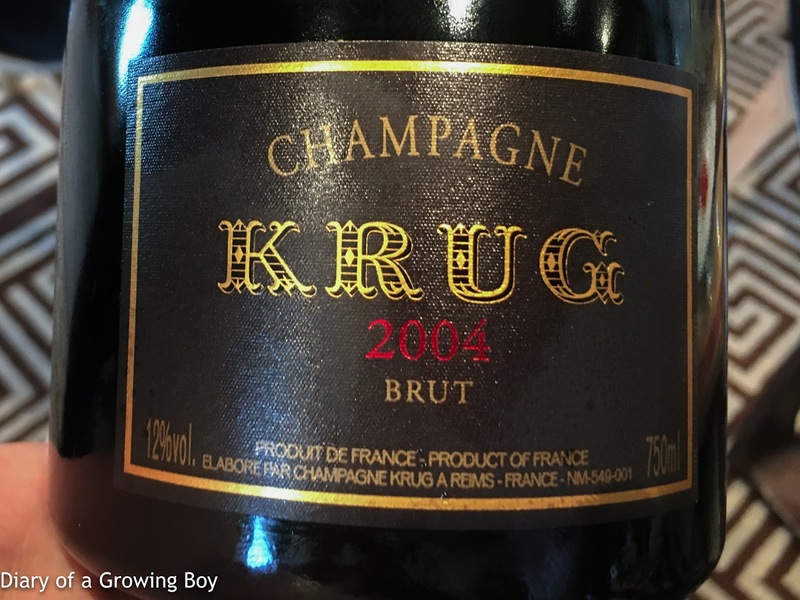 Mature and rounded on the palate. Drinks at home with friends. 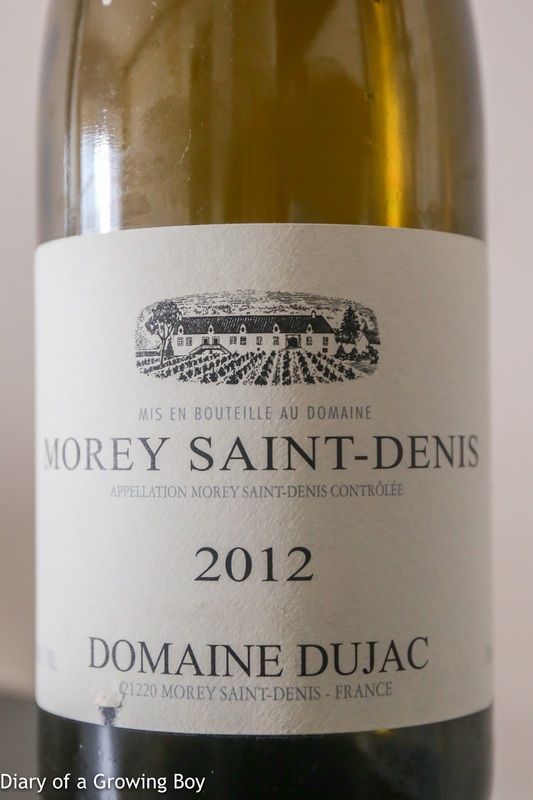 2012 Dujac Morey-Saint-Denis Blanc - very heavy toast on the nose, almost a little unpleasant in the Zalto Burgundy glass. But good acidity and nice balance. 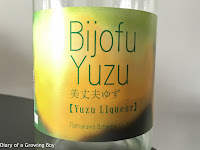 Bijoufu Yuzu Liqueur (美丈夫ゆず), from isshobin - always fragrant, with sweetness cut down with crushed ice. 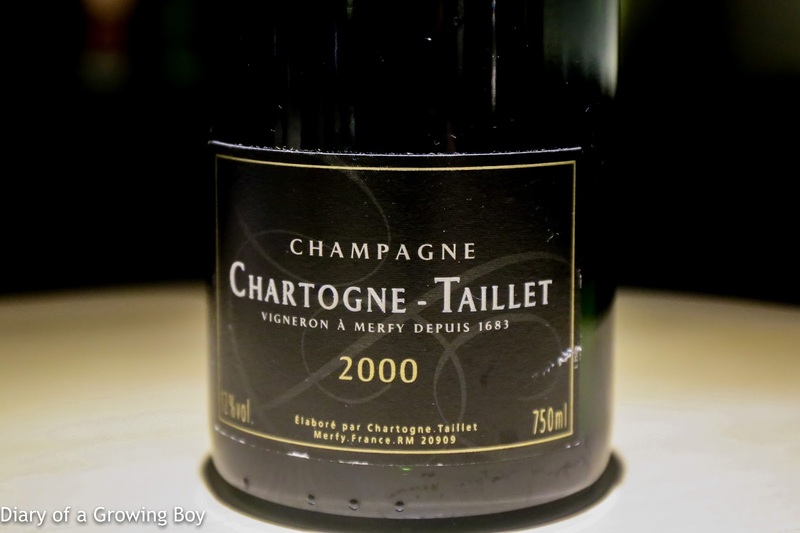 2000 Chartogne-Taillet - nose was very caramelized and oxidized, with savory minerals. 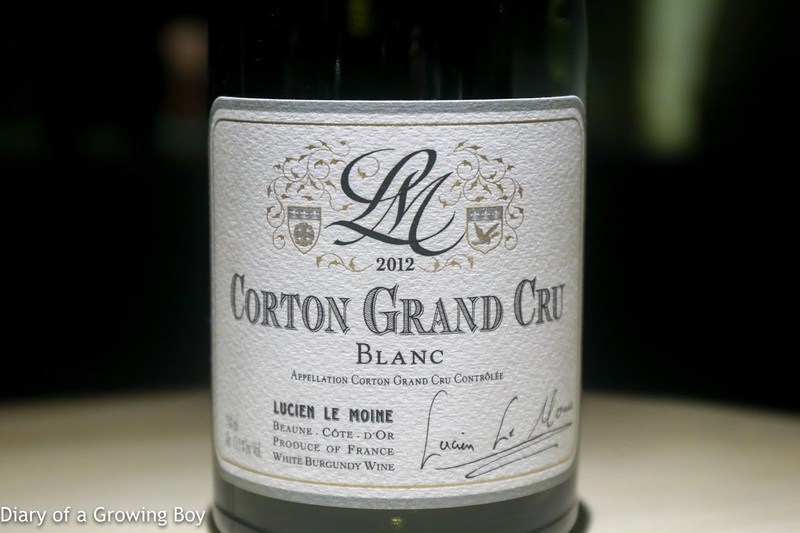 2012 Lucien Le Moine Corton Blanc - showeing really beautiful toasty nose, with lots of flint. 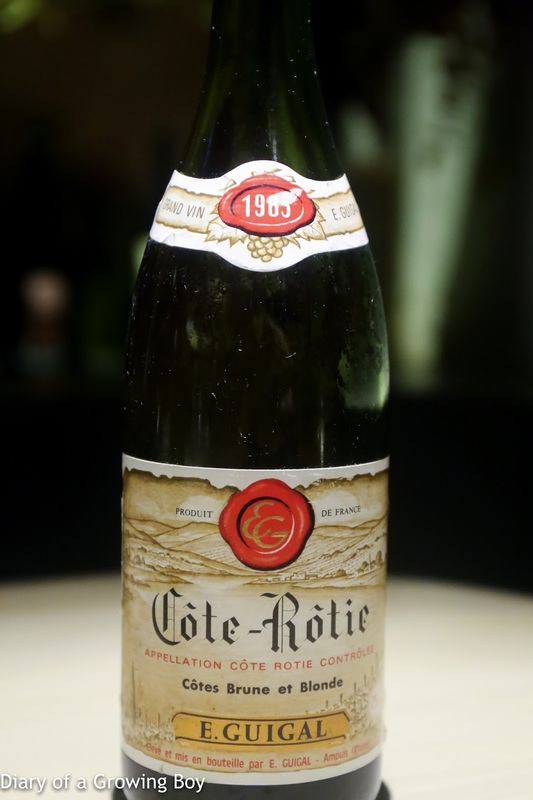 1985 Guigal Côte-Rôtie Brune et Blonde - nice and mature, showing good amount of sweet fruit, leather, and animal notes. 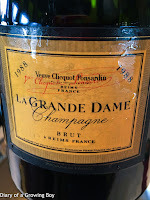 1997 Jaboulet La Chapelle - nice and smooth now, with good concentration and a bit of leather. 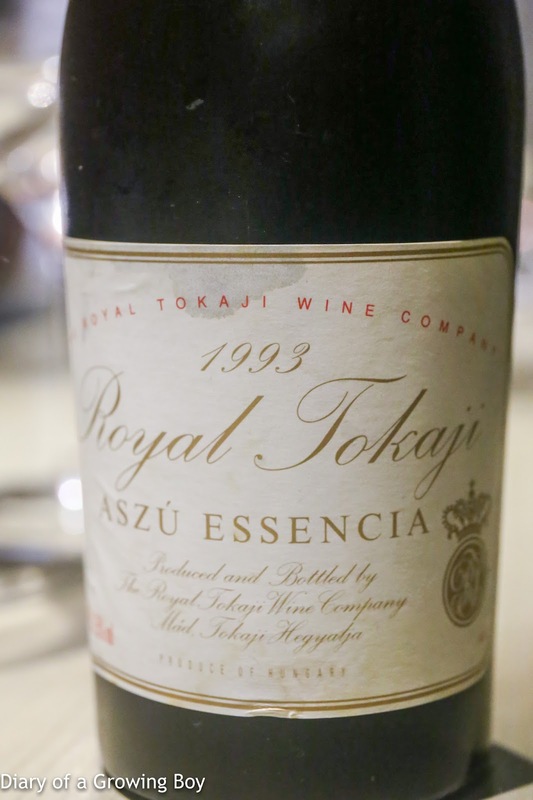 1993 Royal Tokaji Company Tokaji Aszu Essencia - throwing off an unbelievable amount of sediment. 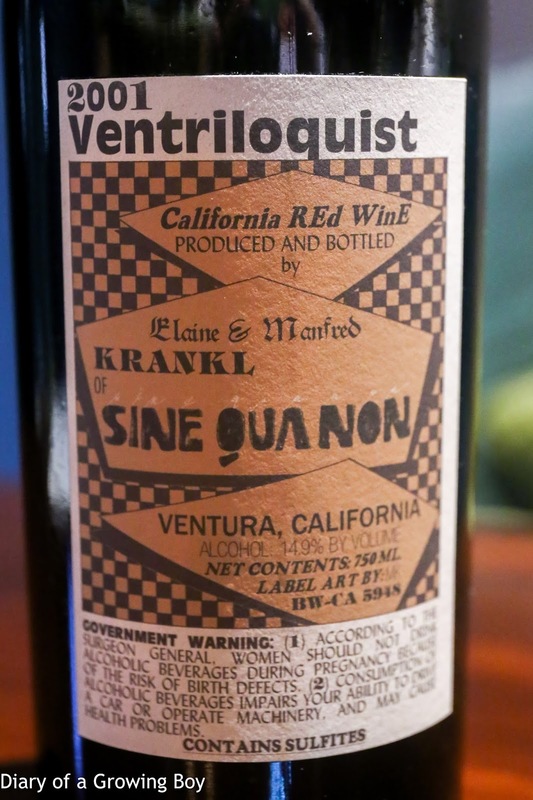 Incredibly unctuous and viscous. 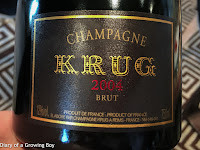 Really rich, with tons of honey and dried tangerine peel, and surprisingly high acidity to balance out the sugars. 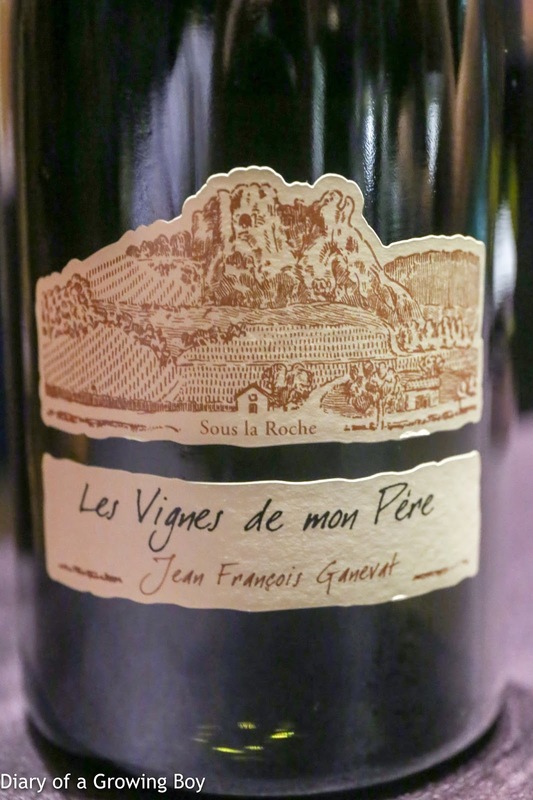 2006 Ganevat Les Vignes de mon Père - a little oak, pollen, and definitely a little more "dusty". Initially the acidity was high when the wine was a little warm, and the acidity stayed high. 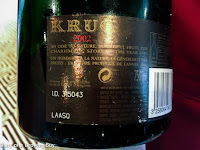 One hour after opening the nose was really fragrant, with a bit more honey and flint. Kinda lean on the palate. 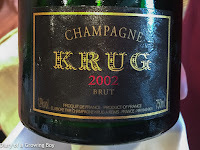 Opened up further after 2 hours and showed almost like oxidized pear. 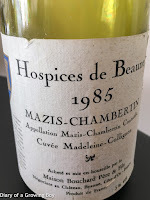 Very complex, from vines planted in 1930. 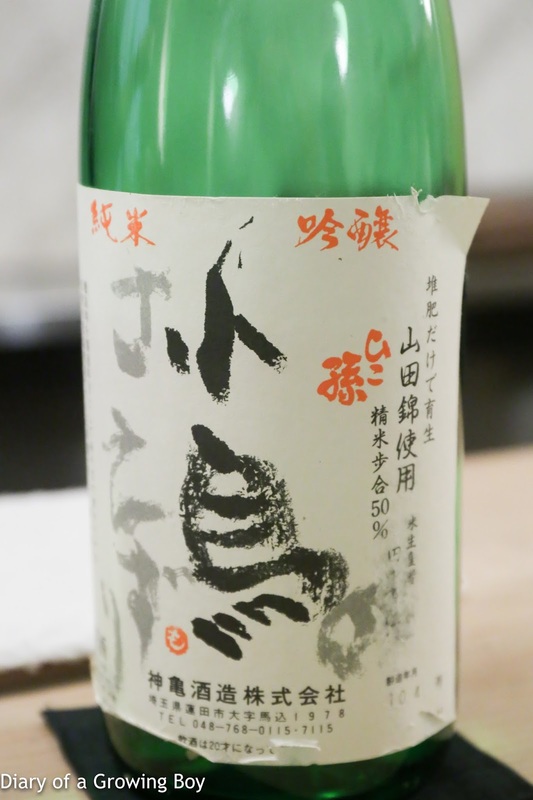 Kokuryu Daiginjo Tenku ni Noboru Ryu (黒龍 大吟醸 天空に登る龍) - seimaibuai (精米歩合) of 50%. 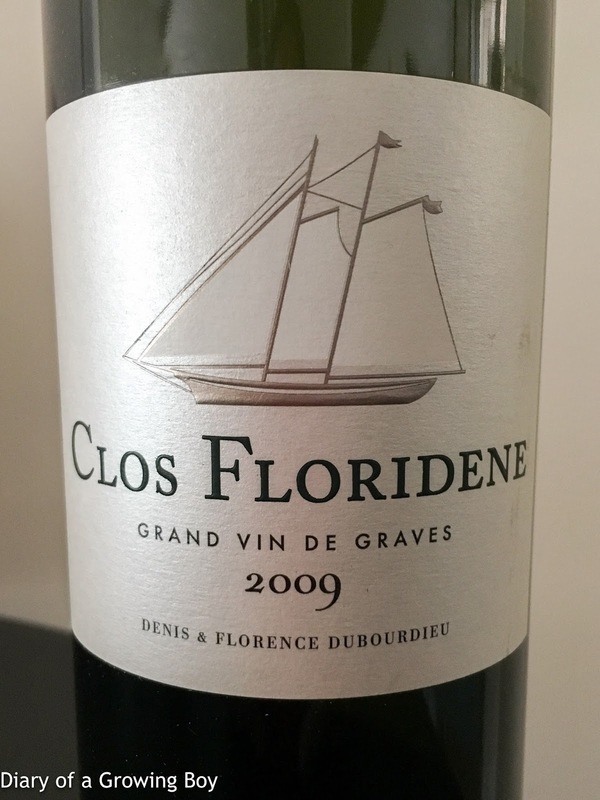 Very tropical nose, fruity with banana and floral notes. 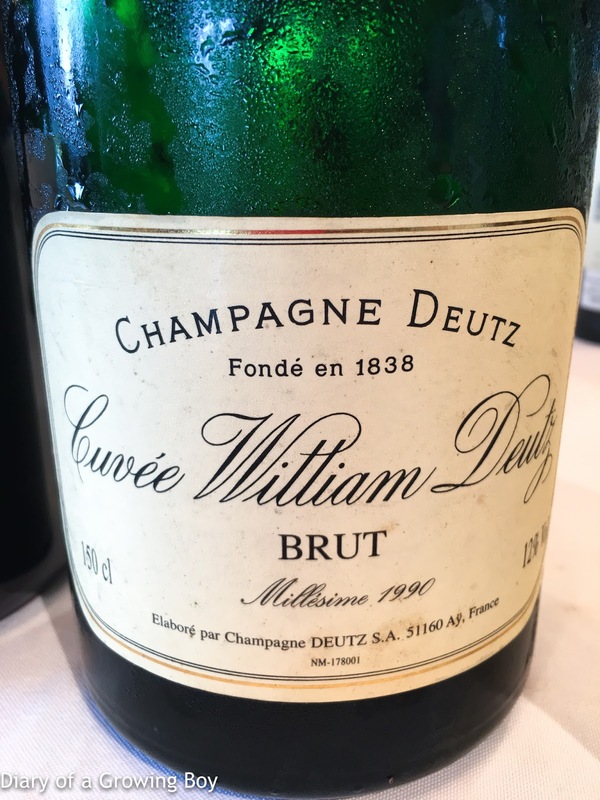 Very sweet both on the nose and on the palate. 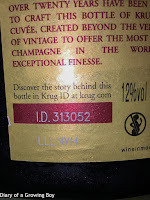 Later on the nose showed more fermented rice notes. 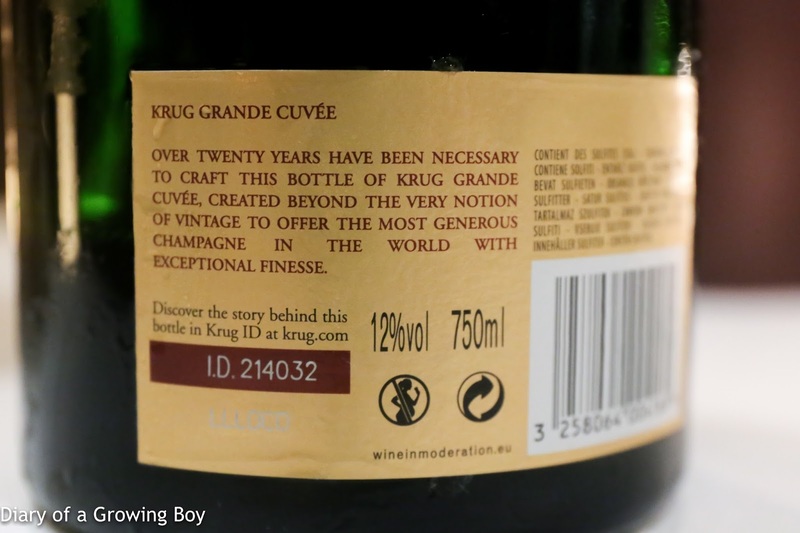 Krug Grande Cuvée, 159éme édition, ID 313052 - mature and beautiful, with toasty nose and lovely sweetness. 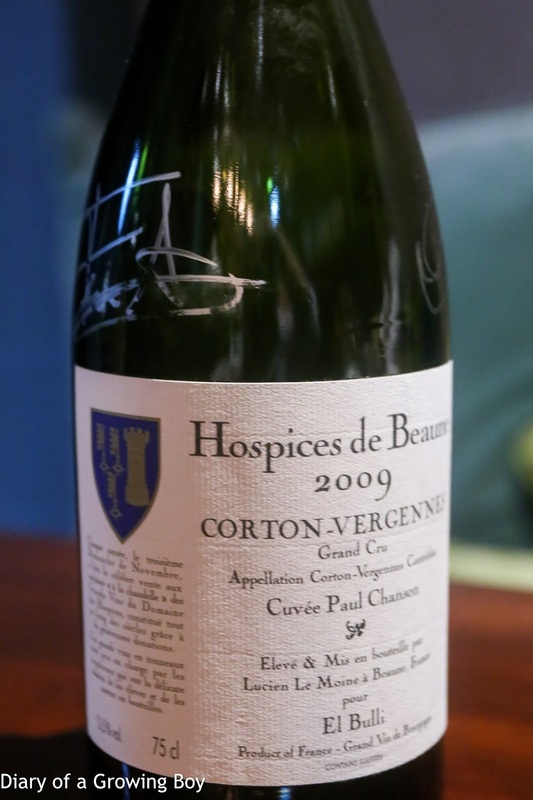 2009 Hospices de Beaune Corton-Vergennes Cuvée Paul Chanson par Lucien Le Moine pour El Bulli - very dry with lots of minerals, beautiful and flinty. Later on buttery and sweet, with a nose that was soooo toasty. 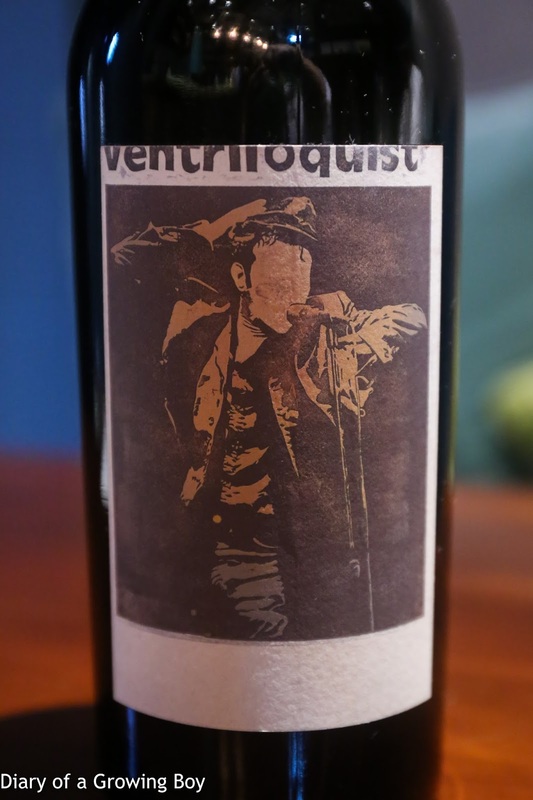 2001 Sine Qua Non Ventriloquist - opened for 45 minutes prior to decanting, and served 2 hours after opening. 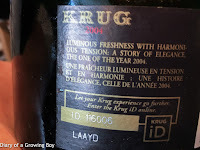 Bouquet was really sweet and jammy as expected, then turned very floral and violet. More than 3 hours after opening a little cotton candy developed. 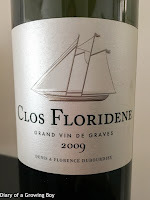 2009 Clos Floridene Blanc - nose very oxidized and mature, with marmalade, flint, and toasty oak. 2007 Joh.Jos. 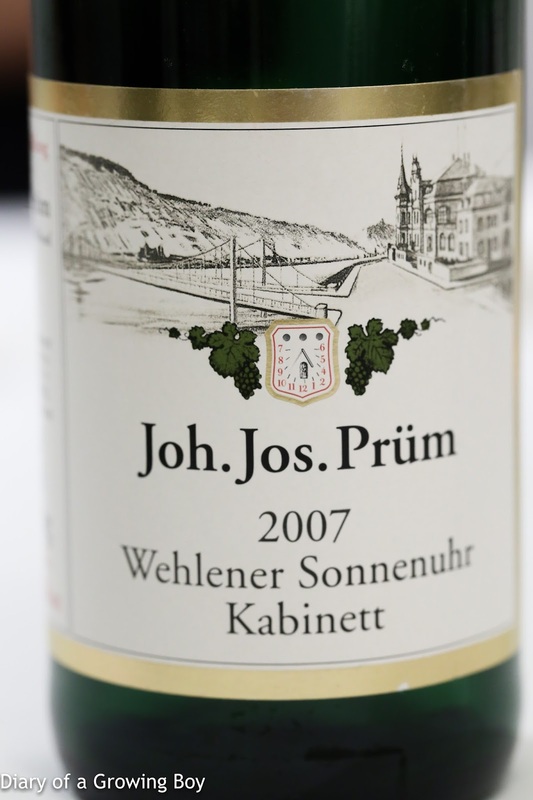 Prüm Wehlener Sonnenuhr Riesling Kabinett - much sweeter than expected from a kabinett. 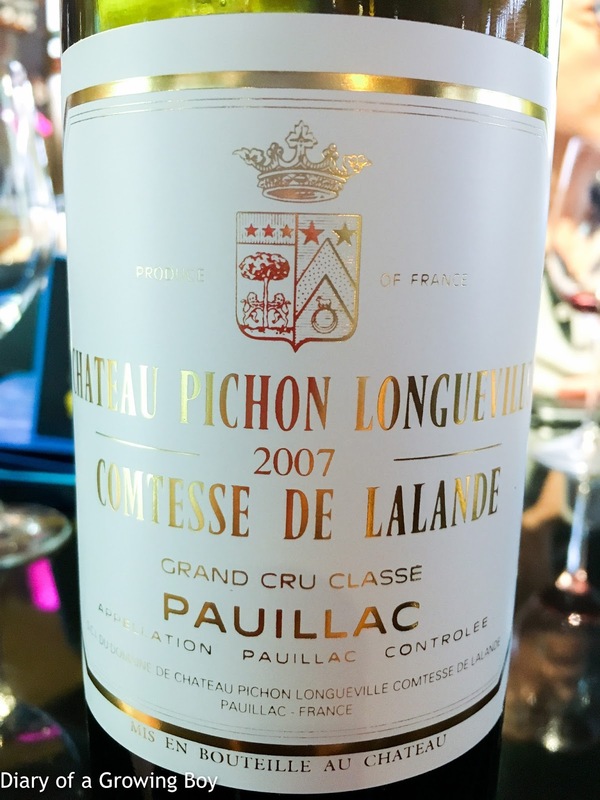 Lovely on the palate with great structure. 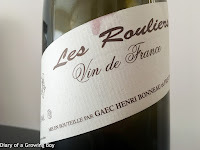 Nose of muscat grape and a little white flowers. 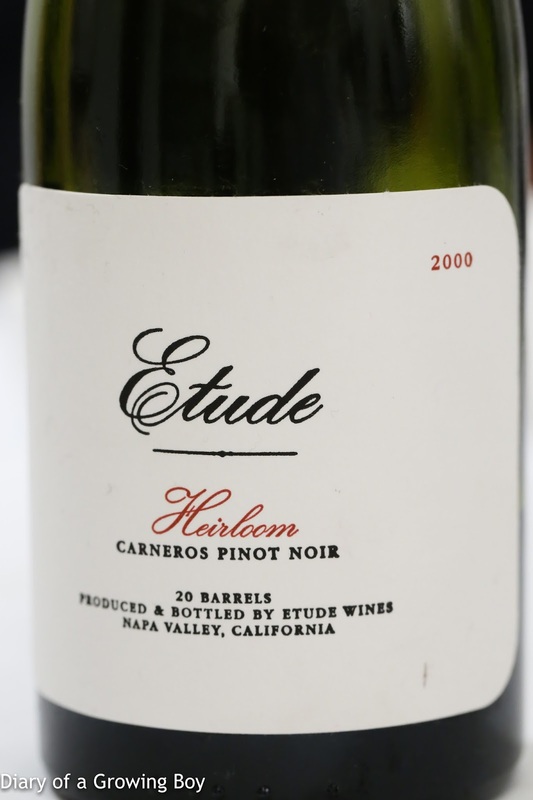 2000 Etude Pinot Noir Heirloom - initially not much sweet fruit, probably a little over the hill now. 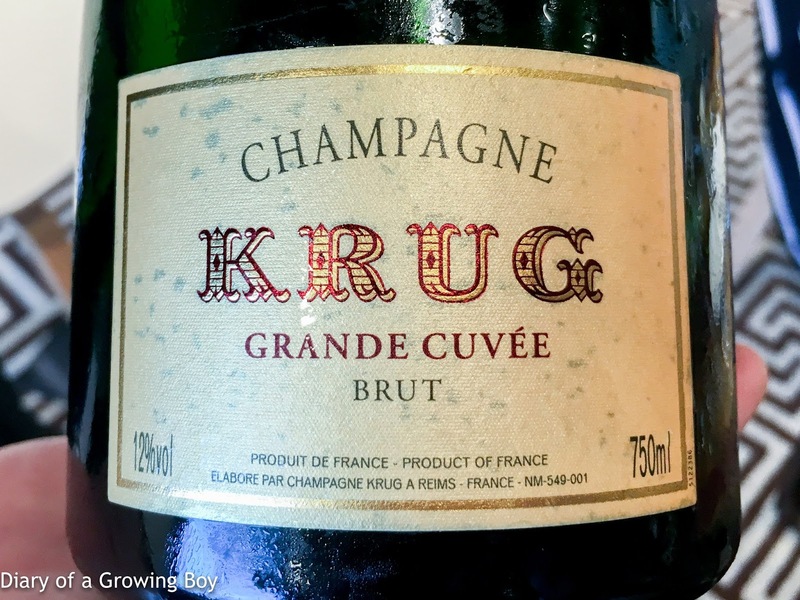 A little more fruit later after aeration. 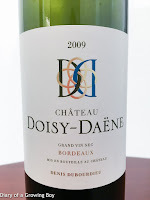 2009 Doisy-Daëne Sec - classic green apple on the nose, ripe with a little honey. 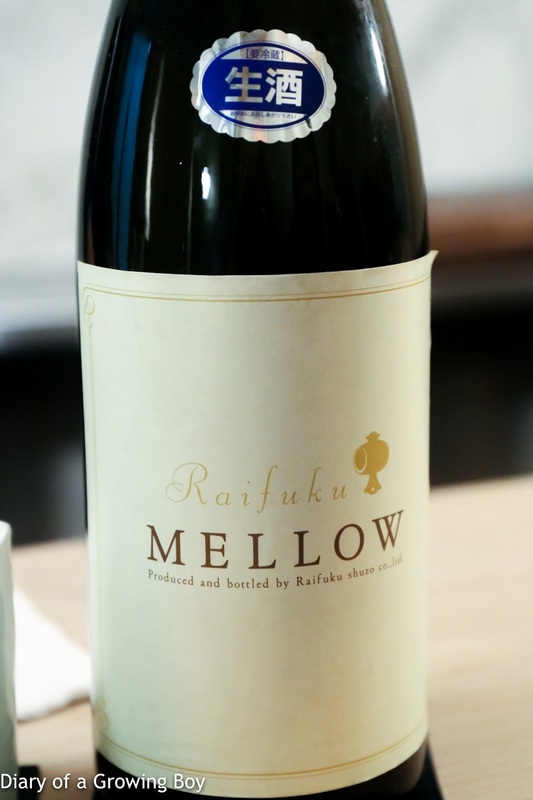 Raifuku Junmai Kjyosyu Nama Mellow (来福 純米貴醸酒生), 2017 - served at 10°C. 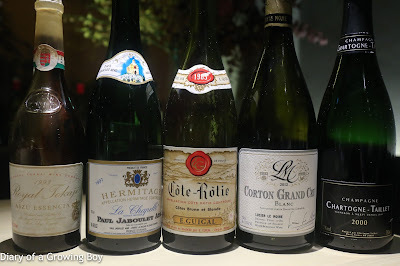 Supposedly with a sake meter value (日本酒度) of -50. 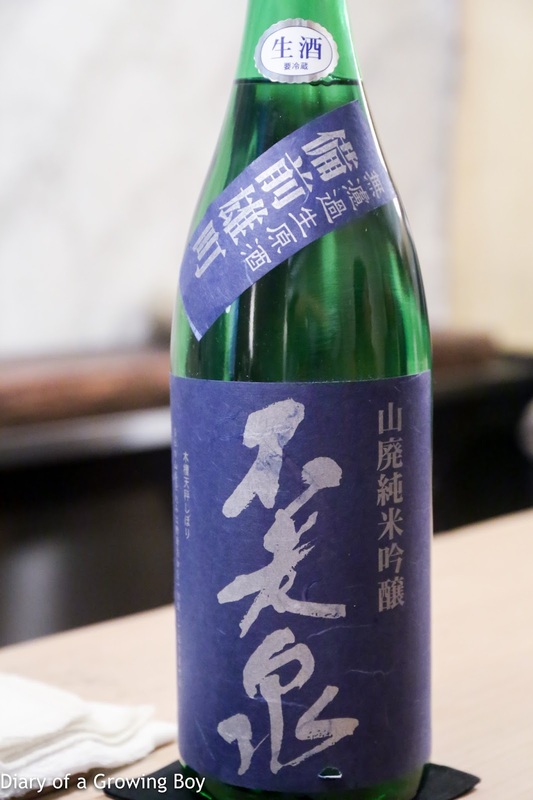 A kijoshu (貴醸酒) partly made with junmai sake instead of water. 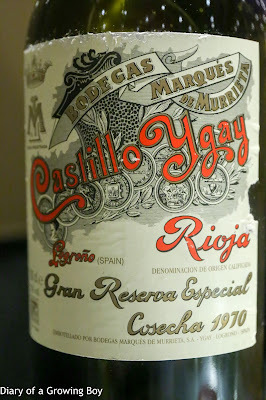 Fairly sweet on the palate, with nice fermented rice notes and a hint of acetone on the nose. 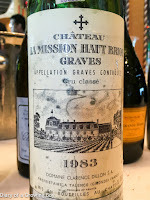 Very nice depth on the palate, with a hint of bitterness mid-palate. 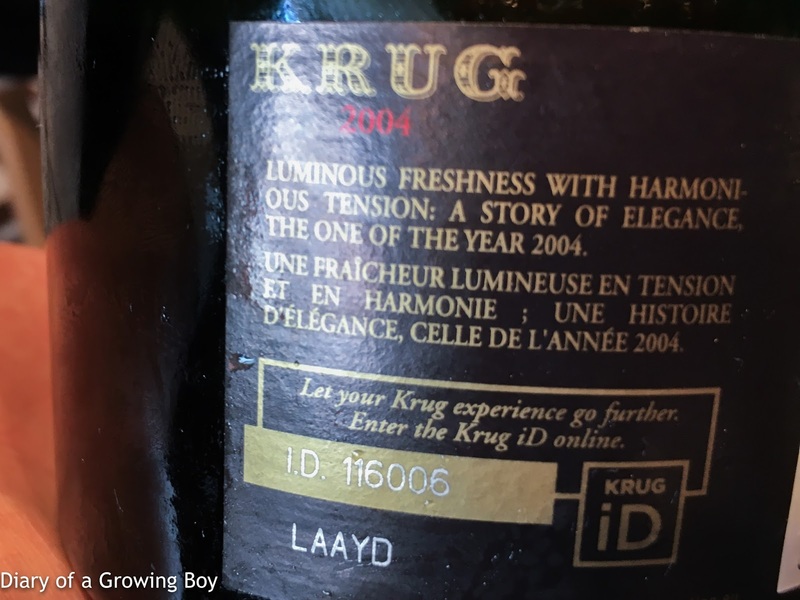 Later on there was a hint of something unpleasant on the nose, almost similar to the mold/flor which I find in some aged Huadiao. Taken with the fig, the fermented rice flavors became really obvious. 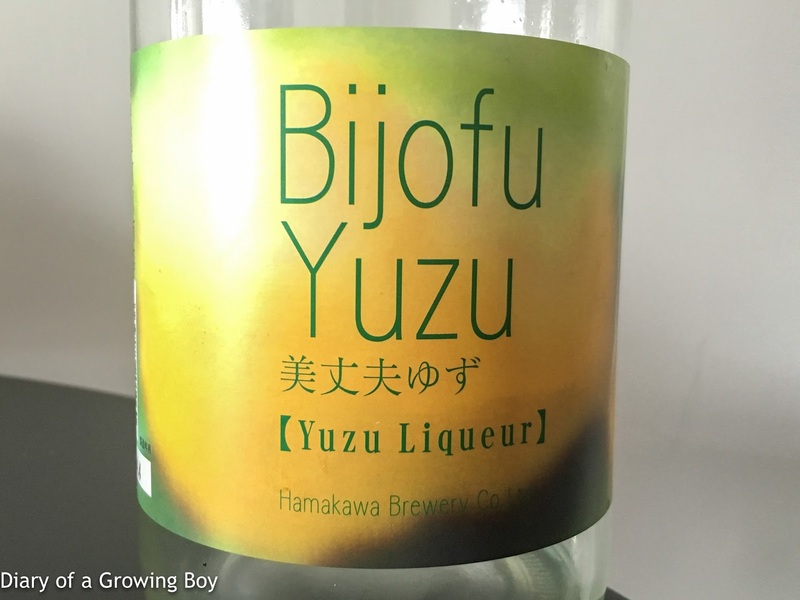 Yorokobigaijin Junmai Ginjyo Nama (悦凱陣 純米吟醸生), 2017 - served at 13°C. With a seimaibuai (精米歩合) of 50% and a sake meter value of +9. 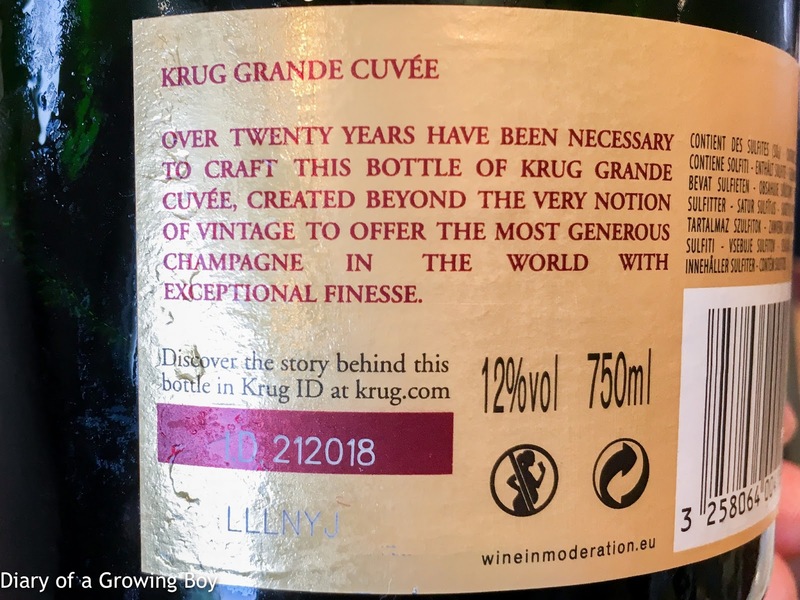 Nice and fermented rice nose. Soft and sweet on the attack but the finish was dry and slightly bitter. 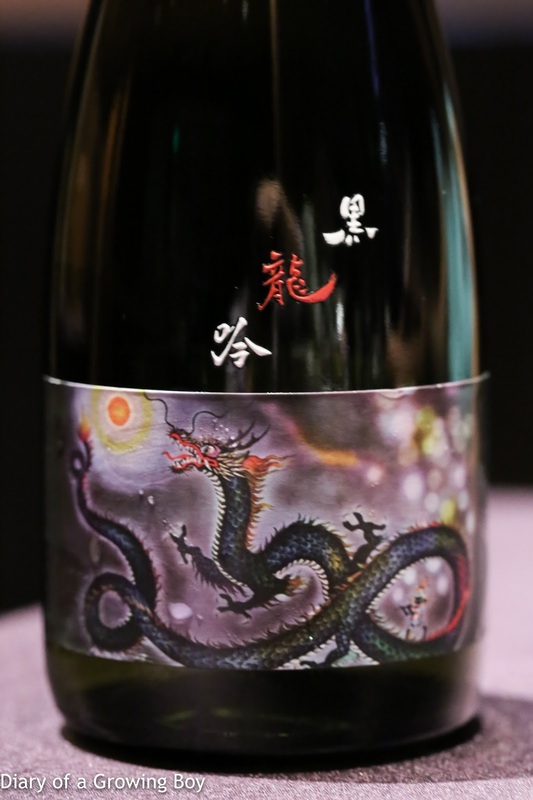 Akishika Yamahai Jyunmai Nama (秋鹿 山廃純米生), 2017 - served at 11°C. 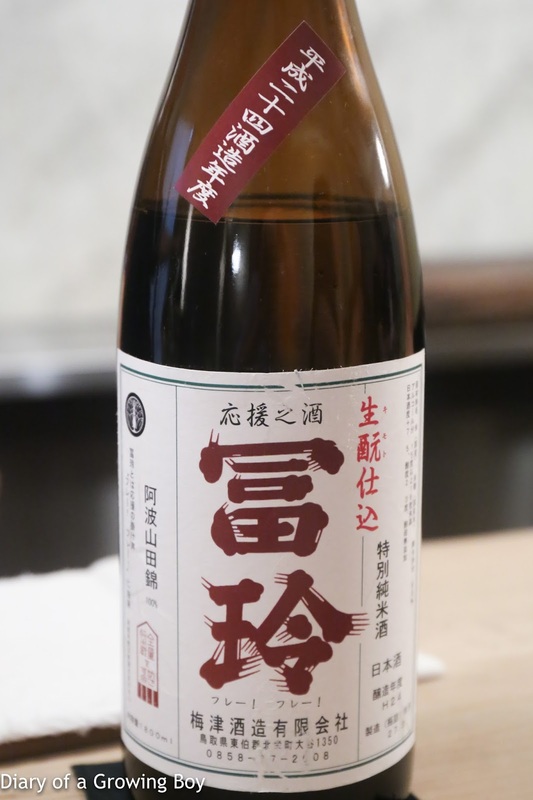 With a seimaibuai of 70% and a sake meter value of -81, and only 8% alcohol. 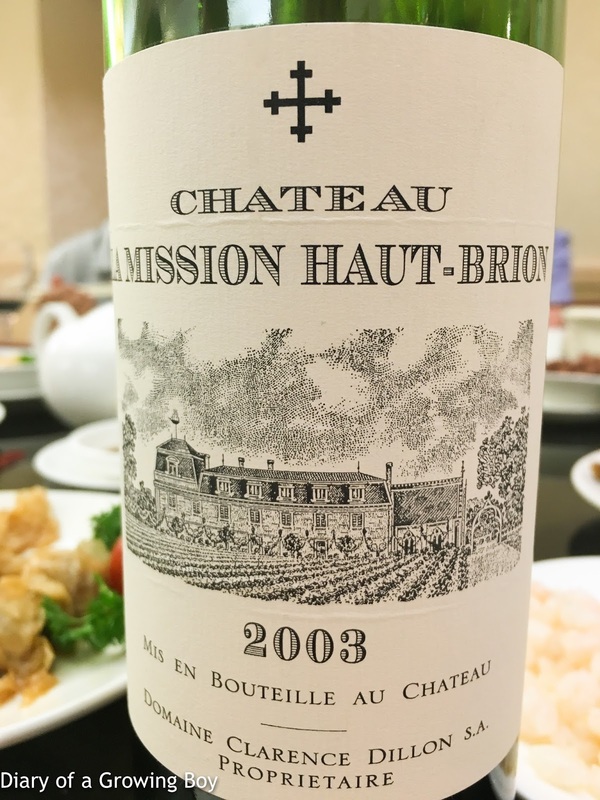 Very savory on the palate, like koshu (古酒) or oxidized wines like vin jaune or Shaoxing (紹興). 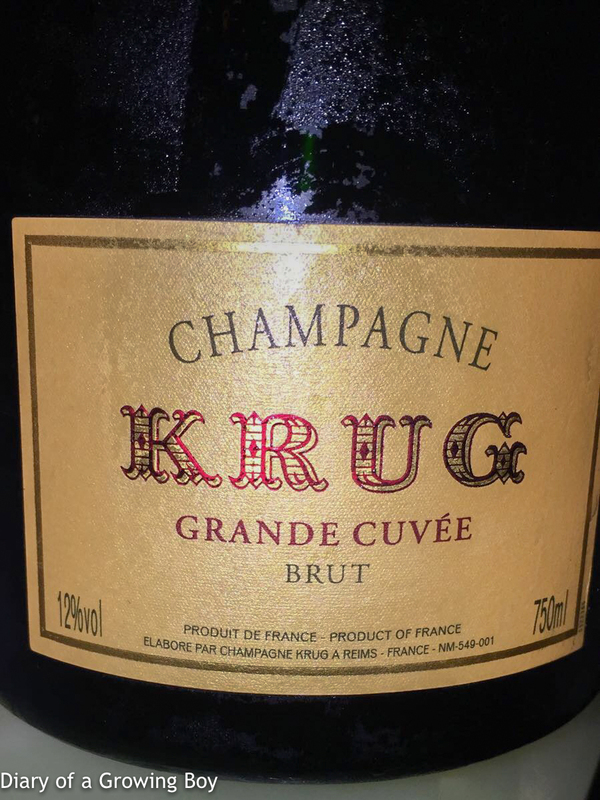 Almost a little fizzy. 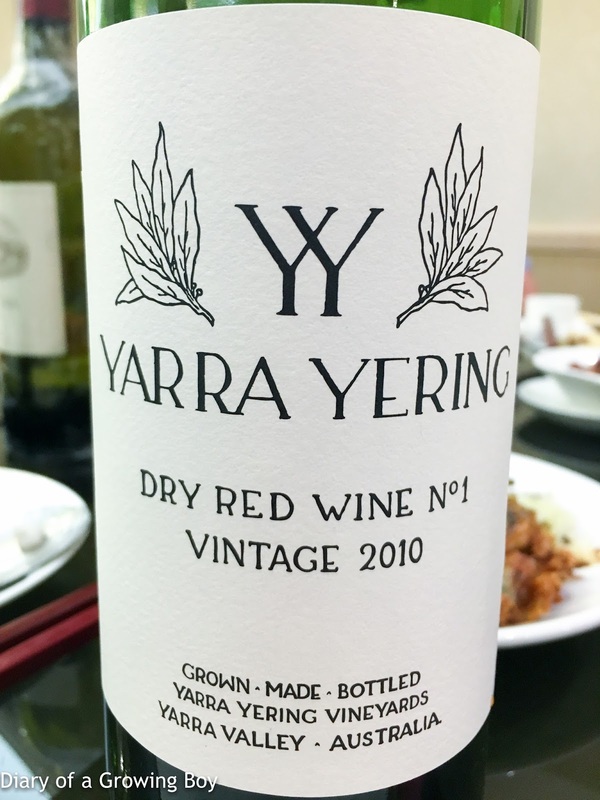 There's acidity and fruitiness here, almost like dunking a preserved plum (話梅) into Shaoxing. 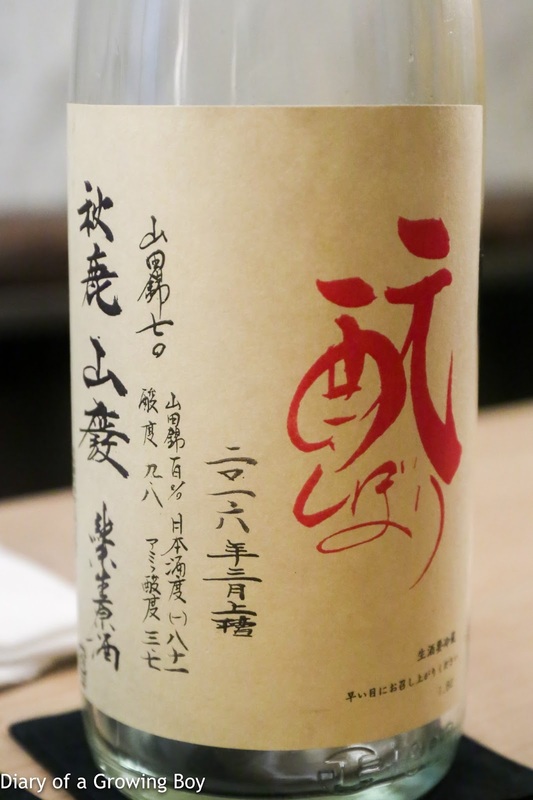 Furei Kimoto Jyunmai (冨玲 きもと純米), 2013 - served at 45°C. With a seimaibuai of 60% and a sake meter value of +7.5. 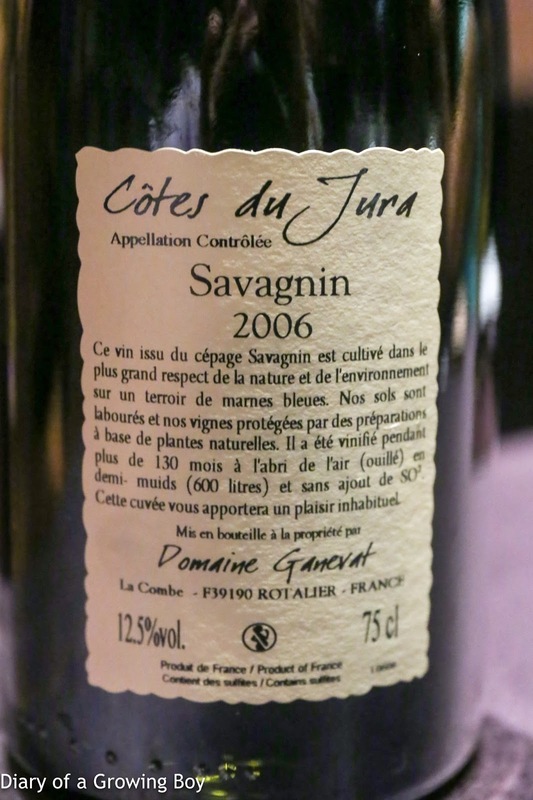 Soft on the palate and savory like koshu, with a dry finish. 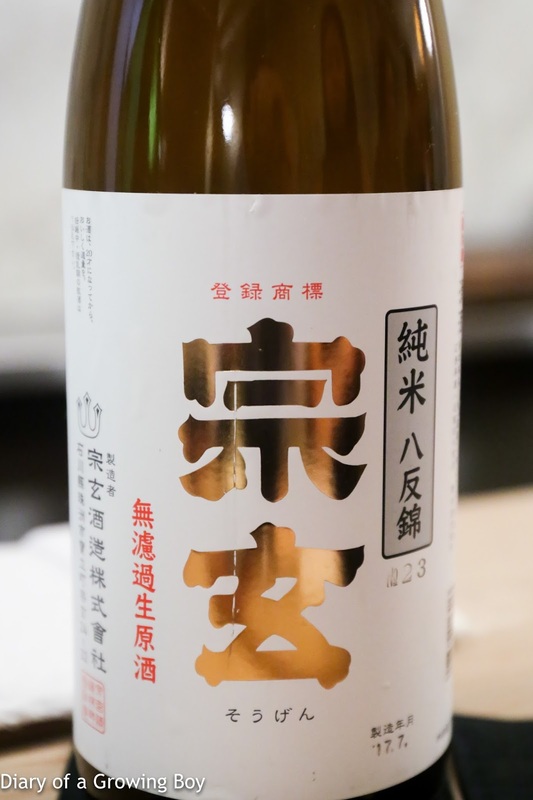 Furousen Yamahai Jyunmai Ginjyo Nama (不老泉 山廃純米吟醸生), 2016 - served at 13°C. With a seimaibuai of 55% and a sake meter value of +4. 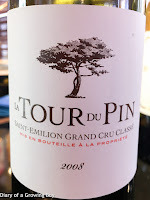 Very good balance here - slightly sweet on the attack but gets dry mid-palate and ends with a very spicy finish. 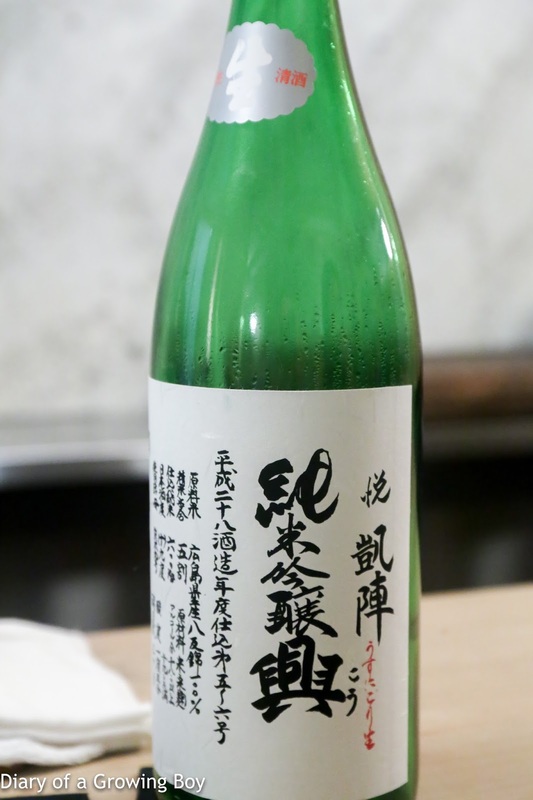 Kotorinosaezuri Junmai Ginjyo (小鳥のさえずり 純米吟醸), 2010 - served at 28°C. With a seimaibuai (精米歩合) of 50%. 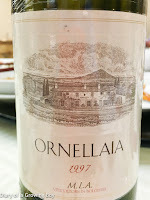 Soft on the palate at first, but quickly turned dry. 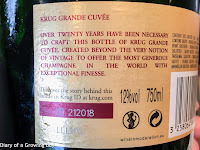 Very powerful and lots of depth on the palate. Sogen Junmai Nama (宗玄 純米生), 2017 - served at 46°C. With a seimaibuai (精米歩合) of 55%. 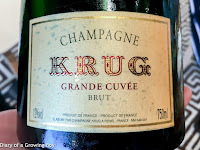 Very nice depth of flavors on the palate. 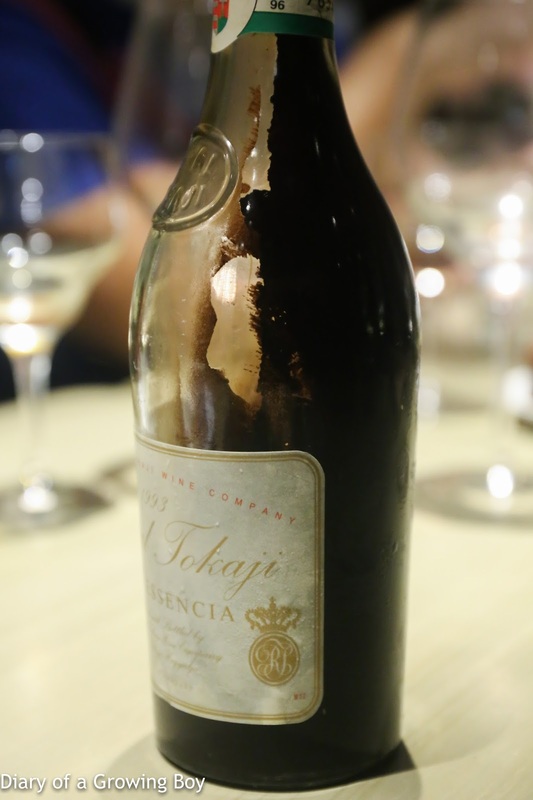 At Caprice, VEA Restaurant and Lounge, and Aberdeen Street Social. 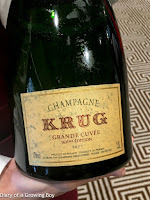 Krug Grande Cuvée, 162éme édition, ID 214032 - toasty and lovely, with a little minerals. 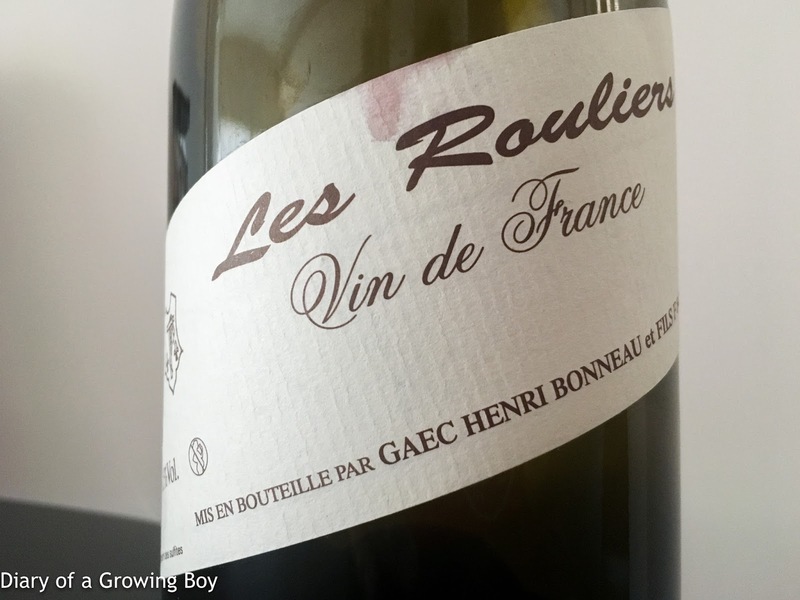 Henri Bonneau Les Rouliers - ripe and fruity, a bit of smoke, leather, a little compote. 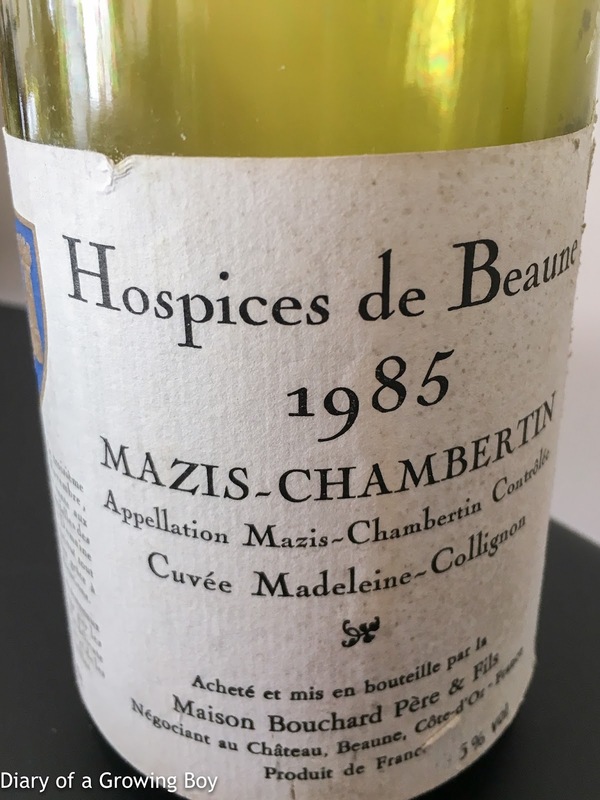 1985 Hospices de Beaune Mazis-Chambertin Cuvée Madeleine-Collignon par Bouchard - definitely past the peak but still very drinkable. Nose of black olives, a little savory, still some fruit in the nose. 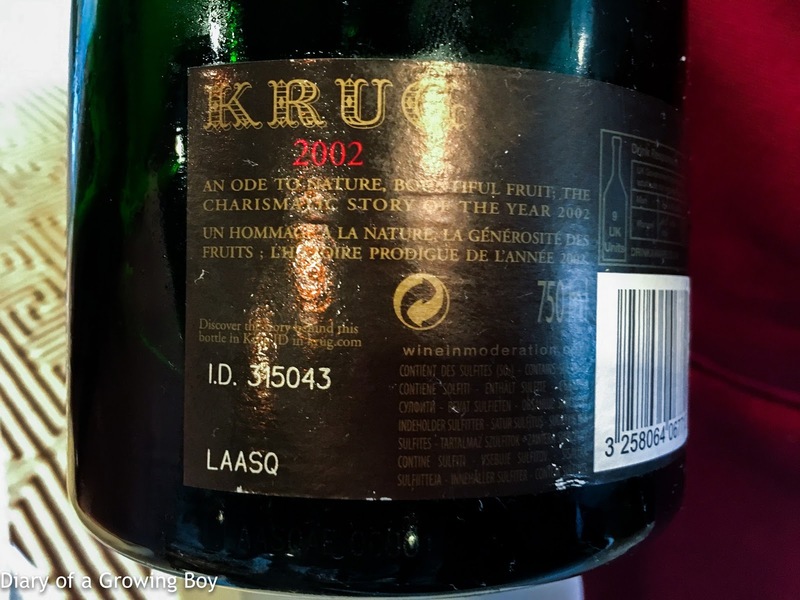 Still kinda sweet on the palate. 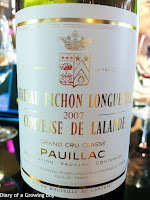 2007 Pichon Lalande - sweet fruit and almost a little overripe on the nose. Served too warm. Showing a little smoke and almost a hint of burnt rubber. 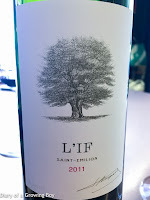 2011 L'If - served too warm. 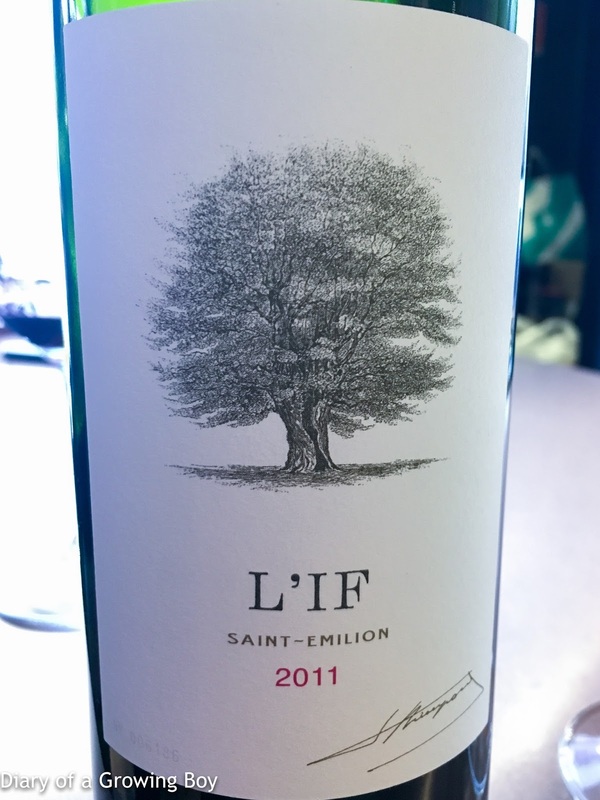 Fruity, with smoke and forest notes. 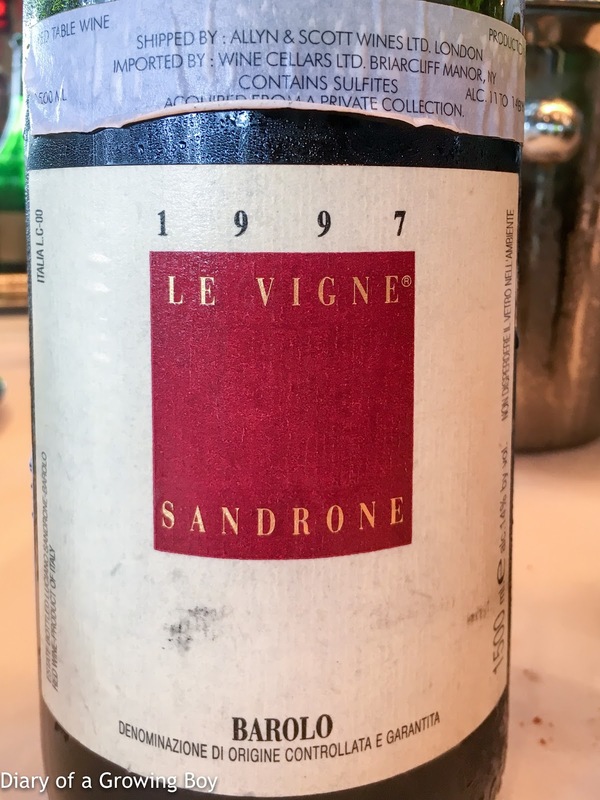 Sweet on the palate, with some tannins. 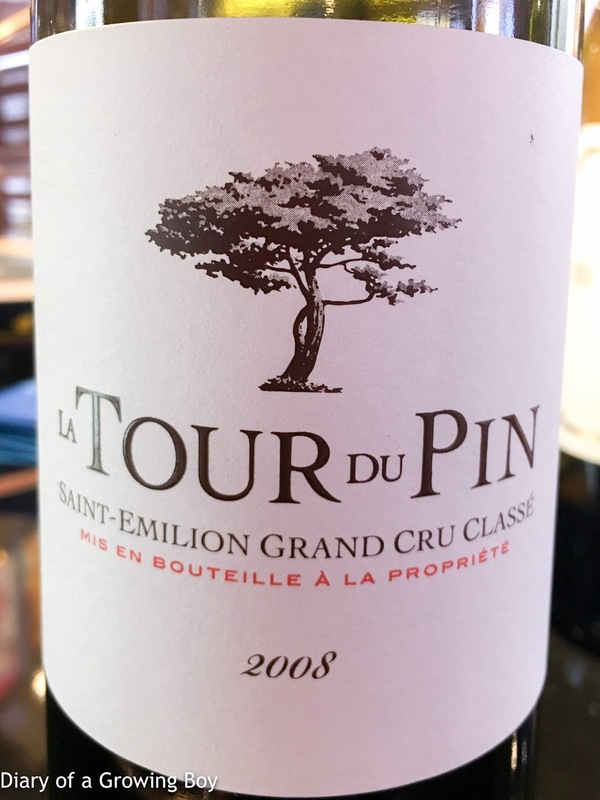 2008 La Tour de Pin - lean, smoky, almost green pepper. 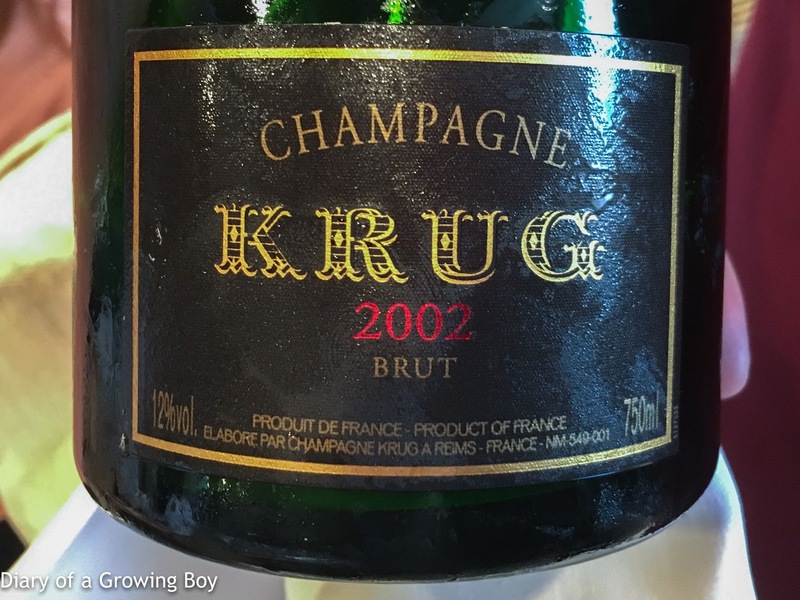 Slightly sweet on the palate. Dinner at Kiangsu Cheking and Shanghai Residents Association. 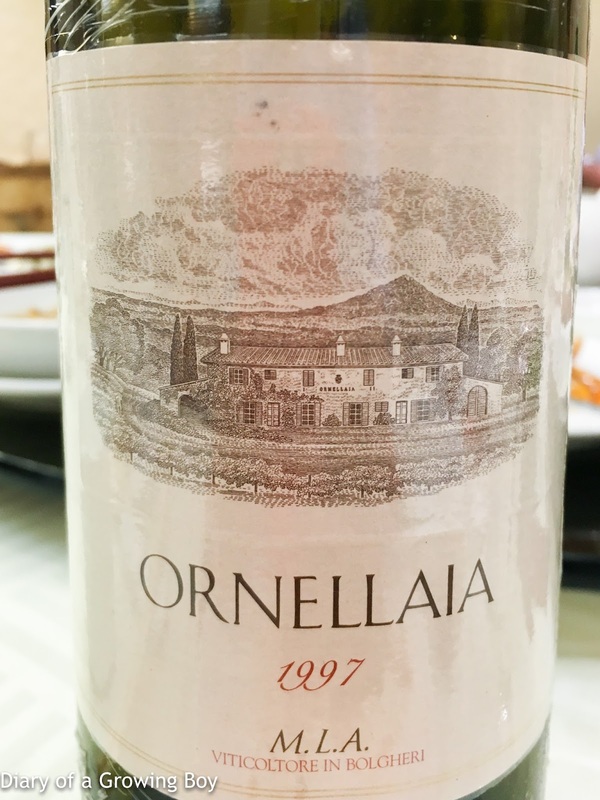 1997 Ornellaia - double-decanted for 1½ hours. 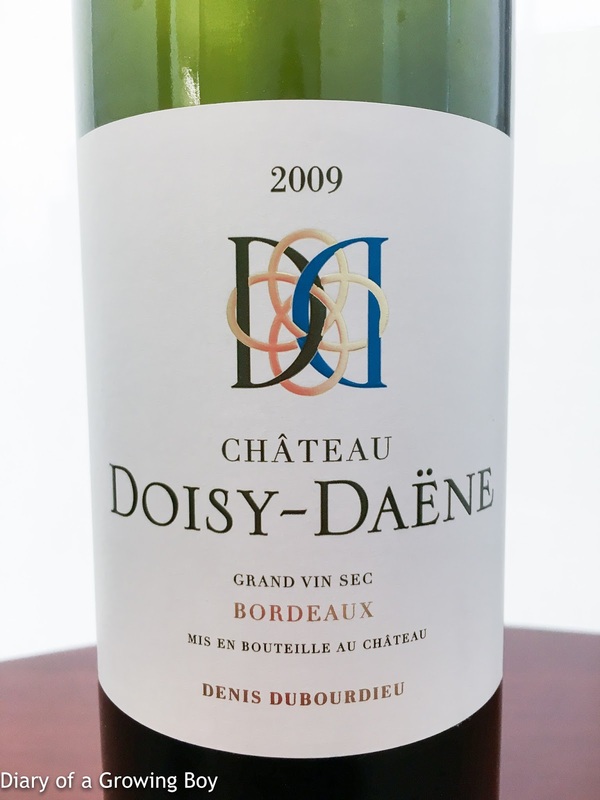 Really smooth, with good acidity balance along with sweetness. 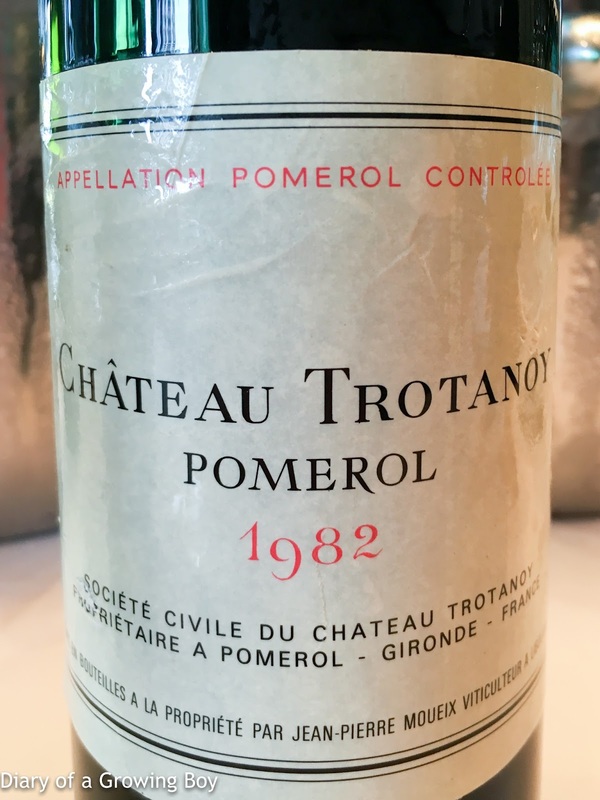 A little smoky on the nose. 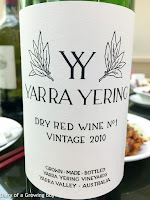 2010 Yarra Yering Dry Red Wine No. 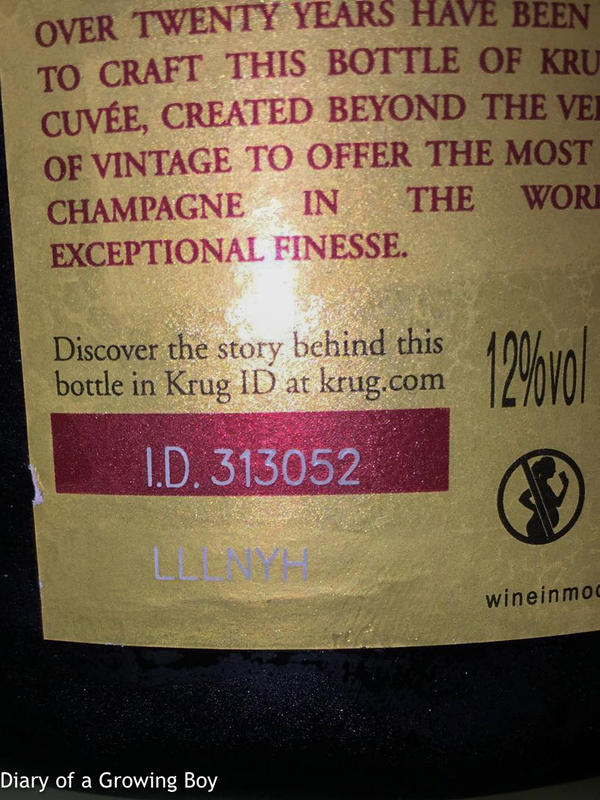 1 - opened 1 hour earlier. 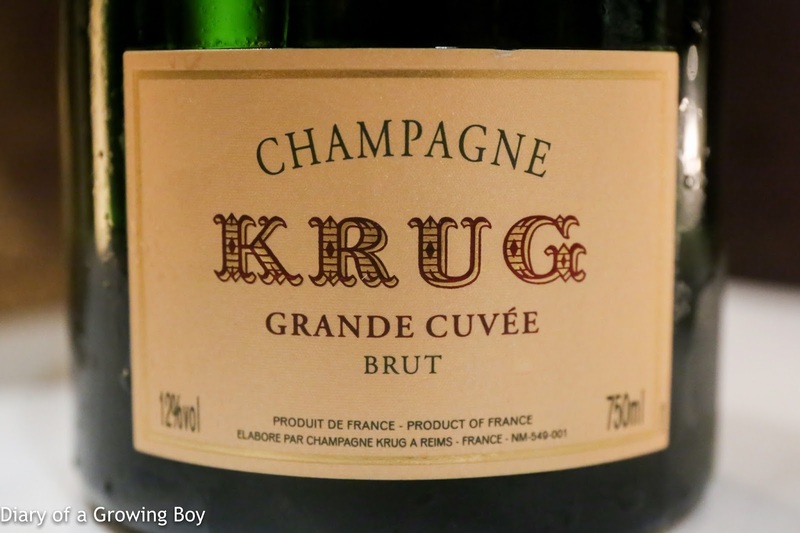 Sweet and smooth on the palate. 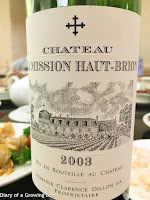 2003 La Mission Haut-Brion - fruity, minty, smoky.